For some hunting is a hobby, for us it's a passion! Born and raised as a Farmer's son, Dale "Donza" gravitated to the outdoors from a young age, and excelled in rugby during his school years. Hunting proved to be prudent in his upbringing, and he developed a true love for hunting and conservation early in life. When schooling finished, Dale felt his independence and embraced his dreams of becoming a Professional Hunter. In 1995 Dale joined Zinyela Hunters Safaris, a company owned by legendary Professional Hunter and his uncle, Barry Duckworth. 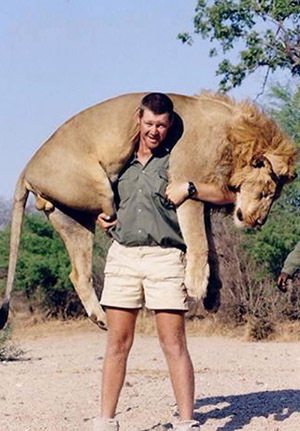 The operations were based in the Chewore concession in Zimbabwe, where Dale gained hands-on experience in ethically hunting the top species of dangerous game in Africa. After years of working in the family safari business, Dale took a leadership position with Brooklands Hunting Safaris, which was also based in Zimbabwe. 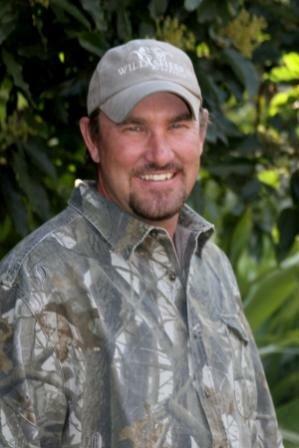 In 2006, Dale started his own safari hunting company. With years of professional experience and success, and always functioning with the highest integrity, Dale is extremely active in personally guiding safari hunts. Born on a cattle and wildlife ranch in West Nicholson Zimbabwe in 1973, Graeme showed from very early on in his life a tremendous interest in the bush and all that was in it. He lived on that ranch until he was ten years old and moved with his parents to the world famous Nuanetsi Ranch in the Lowveld of Zimbabwe to live out his teenage years. Nuanetsi Ranch was every young explorers dream and Graeme showed his adventurous spirit and keenness in hunting and exploring the bush from a very young age. With the guidance of his father, Graeme successfully hunted his first calf-killing leopard at the tender age of seven years old and his heart was set on hunting dangerous game from that day on. Although he hunted birds and plains game from younger than seven, he did not yet appreciate the adrenaline rush of dangerous game. In his teenage years his parents had a tough time keeping him at home, as to Graeme, sleeping under a tree in the bush and hunting for food was home to him. Tertiary education for Graeme was the bush and after school went straight into the hunting industry where he completed his world renowned, high standard apprenticeship and obtained his full Professional Hunters license. Graeme took a gap year after getting his license and decided to backpack around the world to broaden his horizons. It was his adventurous spirit that got him around the world, but the African bush tempted him back month after month. Upon returning home, after thirteen months of back packing, he continued his passion of guiding foreign clients into realizing their childhood dreams in Africa that Graeme had the privilege of doing from birth. He continues to realize those dreams for people and gets as much enjoyment out of the pursuit of the quarry from day to day as he did when he was just a kid. As a native Zimbabwean, Kobus has enjoyed a lifetime of passion for hunting and conservation in Africa. Upon earning his PH (professional hunter) license in 2005, Kobus expanded his experience by hunting prime areas of Zimbabwe. He has successfully guided hunts in the famous Matetsi, Zambezi Valley, Makuit, Nyakasanga and Doma Safari areas. 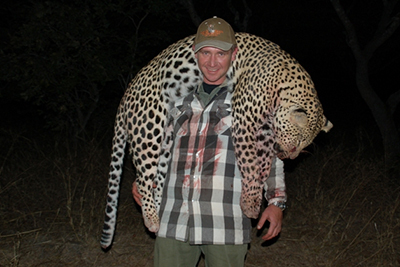 Kobus is an outstanding professional hunter, and brings his heartfelt enthusiasm to each hunt. Guests enjoy Kobus' outgoing personality and dedication to successful safe hunts. Kobus is a welcome addition to the Desfountain Safaris family! Born in Harare, Zimbabwe in 1979 and, from an early age, was introduced to hunting and life in the outdoors. For the later part of his youth , he spent growing up on a 60,000 acre cattle and game ranch in southeastern Zimbabwe which cultivated a lifelong love and passion for wildlife and nature.In 2000 Quinn guided his first plains game safari and continued to do so for 5 seasons. In 2005 he obtained his full professional hunters license. He has hunted in a variety of areas such as Matetsi Safari Units, lower Zambezi and specializes in Dangerous Game . Quinn , whilst conducting Safaris in other areas of Zimbabwe also conducts a number of Safaris for Desfountain Safaris. Born and raised on a farm in Zimbabwe, Guy’s passion for hunting began at a young age. After leaving school in 2005 Guy began first as a hunting apprentice in 2006 with Charlton McCallum safaris, moving on to train as a learner professional hunter and camp manager. In 2008 Guy left Zimbabwe to pursue an opportunity as a Professional Hunter and area manager in the Niassa Reserve in northern Mozambique. Guy returned to Zimbabwe in 2012 to attain his Full Hunters license under Martin Pieters Safaris in the Omay concession of Zimbabwe. Moving forward, Guy went on to earn his full dangerous game license in 2014. With over ten years of dangerous game experience, over 50 Elephant and Buffalo hunted and close to 20 Lion and Leopard, Guy Ferreira prides himself on integrity, ethical hunting and an enthusiasm for hunting that produces more success and passion with every hunt.